set up your picnic blanket and enjoy music in the sunshine. 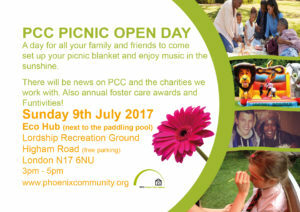 There will be news on PCC and the charities we work with. Also annual foster care awards and Funtivities!